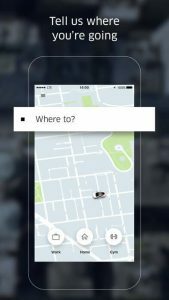 Uber is a ridesharing app for fast, reliable rides in minutes – day or night. There’s no need to park or wait for a taxi or bus. With Uber, you just tap to request a ride, and it’s easy to pay with credit card or cash (in selected cities only). Just open the app and tell us where you want to go. You’ll see your driver’s picture and vehicle details, and can track their arrival on the map. Payment can be made by credit card, cash (in selected cities only), Apple Pay, PayPal and more. After the ride, you can rate your driver and provide feedback to help us improve the Uber experience. You’ll also get a receipt by email.